Tao Hua Xiao Mei is adapted from Japan's best selling manga Tao Hua Mei Mei. Meet Tao Hua, a girl who is pampered, loved and over protected by her 4 brothers; beyond the extent of sister brotherly love. The 4brothers ask the 5th brother, Yu Yi to look after Tao Hua as they go to the same school. 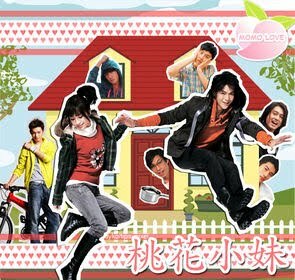 Soon with the appearance of prince charming, Shi Lang, a love battle is created among everybody and the comedy ensues.